TDCart is offering a special introductory price - we'll give you the first month subscription FREE. Just pay the $89 setup and your first month of service is absolutely free. Welcome to the online home of mauleCo. As a small business we understand the small business ower and the issues they face trying to compete in today's markets. We know all about needing professional services but not always having the budget to make it happen. We also understand how those "free" online listings can quickly turn into margin eaters as transaction fees start to factor in on every sale. Our concept is simple - we provide a solid, easy to use product that is designed to present your products in a clean easy to navigate storefront and we do it at a very reasonable cost. There are no hidden fees or confusing contracts. 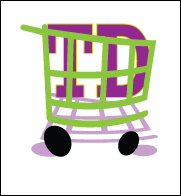 TDCart is an online storefront complete with shopping cart that allows you to easily build an online store in minutes at a fraction of the overall cost of many online products. Its straight forward approach makes listing your items fast and easy and best of all easy for your customers to purchase. We offer many features that are found on systems costing much more such as multiple themes, suggested items, and page display options with user editable content. Easy to own, easy to use online storefronts that can act as a stand alone solution or used to enhance sales from an existing "brick and mortar" store.